Today Frequent Miler and Delta Points are joining forces to present a combination blog post! To begin, read Delta Points first to get the big picture, then please make your way to Frequent Miler for step by step details. This is not for everyone but I hope you take the time to let us walk you through this step by step and it will at least show you the concept and maybe give you some ideas to earn a bunch of MQM’s since the US Mint is no longer sending out points by the box! To reach Diamond Medallion status takes 125,000 MQM’s. 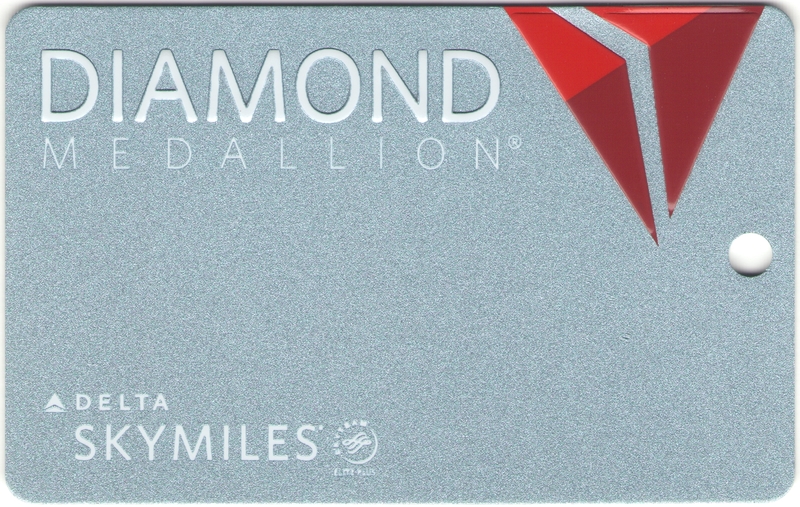 The current Delta Amex Reserve card personal and business (you first click on personal card then look for the business link on page) both give you 10,000 for your 1st purchase if you have not had the card for 24 months. Anyone can get this card and you can have both personal and business with Delta and earn MQM’s for both. Now one of the beauties of this card is you can earn 15,000 MQM’s when you spend $30,000 or 30,000 MQM’s when you spend $60,000 on one card. Lastly you can send these bonus MQM’s to anyone you want who has a Delta SKYMILES account. Each card does carry a $450 per year fee. If you are a big spender, or are willing to follow the directions soon to follow from Frequent Miler, this can be done. What you need to do is this. Have a husband and wife both get both cards. Now there are some issues with this. The obvious one is you have to have the ability to somehow spend $240,000 in just ONE year on the 4 cards. You may be laughing out loud saying that is impossible. Maybe, maybe not. Also keep in mind that you will earn 385,000 bonus standard SKYMILES on top of the MQM’s and you can gift GOLD status to who ever you want. Also keep in mind your wife will get 20,000 MQM’s not included in the above total and will only need 5000 more MQM’s to earn Silver status at 25,000 MQM’s. OK Rene you got me hooked. So how can I spend ¼ of a million dollars. Please click here for part two of this from Frequent Miler! ← My credit is “not so good”! How do I get in on these points deals? What do I do? I keep hearing about AMEX’s 24 month rule to get bonus again. I currently have AMEX Delta Plat card, if I CONVERT it to some other no annual fee card (I assume card account number stays the same), will I be able to get bonus for Delta Plat card again 2 years after conversion date? Similarly, the I applied for the Delta Gold card in 2009 and upgraded to the current Delta Plat card in 2010 (card number stayed the same), it has been more than 2 years since I technically had the Delta Gold card, would I be able to get bonus for Delta Gold again now? Very very good questions. I wish I had simple answer. This is what 99.9% of people say. If you DO NOT have a Delta card, and it has been 24 months since you had THAT flavor card, you can EZ get the new bonus for that card. If you still have say a PLAT, go for Reserve, and it has been 24 month, you will get 100% the incremental difference between the last and the new. Maybe you will get full if you just go for the new card without canceling the old. Does that help? Does anyone have the promo code for the personal Reserve 10,000 MQM offer? Looks like they just removed that offer and have a new one which requires that you upgrade. Anyway, they only deposited 5,000 MQM into my account (VERY quickly after my first purchase, I might add) and I need the promo code to submit. Any help would be great. Thanks!